What do you do when products migrate across the store? 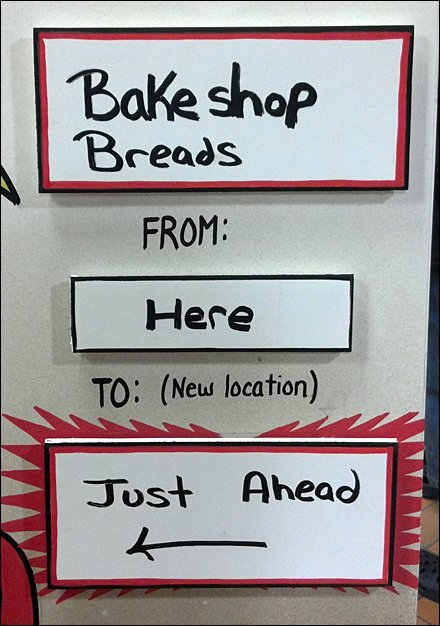 Do you put up directional signs? Shelf edge signs? I’m not sure there are any truly outstanding solutions. 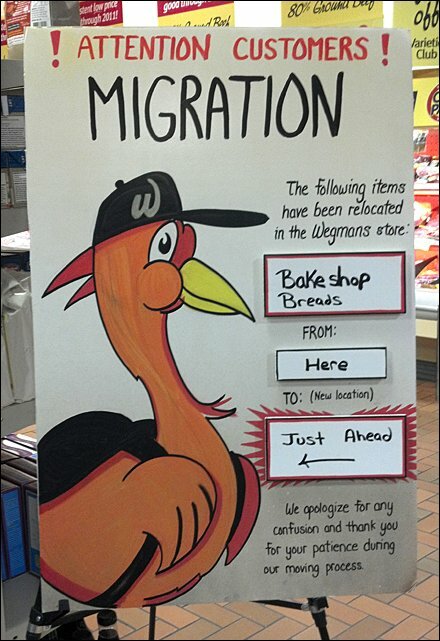 But here is what the much-admired Wegmans supermarket chain did for a bakery products realignment. If you have a better idea, leave a description as comment. CLICK thumbnail for a tight shot of the customization possible on this sign to allow it to fit any product or directional situation.